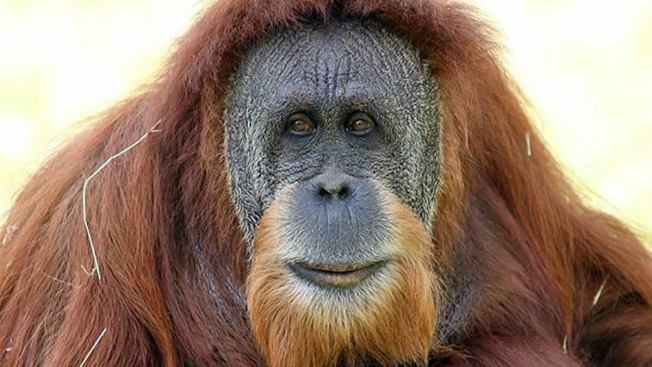 “Bonnie,” a 31-year-old female Orangutan, died Thursday following an emergency procedure at Zoo Miami in Florida. The oldest orangutan at the Miami zoo has died after an emergency surgical procedure following a miscarriage. Zoo Miami spokesman Ron Magill said in a press release that 31-year-old Bonnie had been pregnant for several months and was scheduled for a full exam with an OB-GYN on Monday. She started experiencing elevated distress Thursday and needed an emergency surgical procedure to remove a full-term, non-viable fetus that she was unable to deliver naturally. Magill says the surgery was successful but Bonnie was unable to survive the procedure. Bonnie was born at the Audubon Zoo in Louisiana on Jan. 26, 1985, and arrived at Zoo Miami on May 8, 2009. She's survived by her mate, Mango. Critically-endangered orangutans can top 200 pounds with an arm span close to eight feet and are the largest tree-dwelling mammals in the world.